Seller Fishinman73 assumes all responsibility for the listing and deleting of this ad. 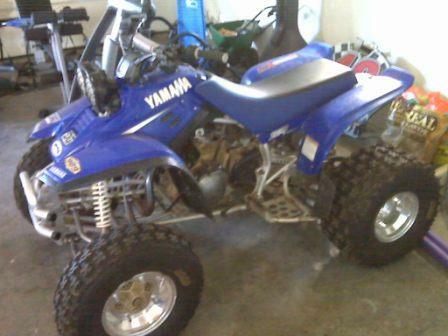 2002 Yamaha Warrior, 6 speed with reverse. New tires and rims, HMF custom exhaust with FMF PowerBomb header, K&N filter with jet kit installed. Armadillo front bumper, new brakes and steel braided brake lines. Comes with stock tires and rims and other extra parts : New chain and sprockets, clutch cable.